This comprehensive encyclopaedia of the First World War has over 800 entries. It includes sections the Outbreak of War, Armed Forces, Important Battles, Technology, Political Leaders, Home Front, Military Leaders, Life in the Trenches, Trench System, Trench War, Soldiers, War Heroes, War Medals, War at Sea, War in the Air, Pilots, Aircraft, War Artists, Cartoonists and Illustrators, War Poets, Journalists, Newspapers and Journals, Novelists and the War, Women at War, Women's Organisations, Weapons & War Machines, Inventors and the War, Theatres of War and War Statistics. In September 1860 Dickens burnt thousands of letters on a bonfire at his home at Gad's Hill Place in Kent. He also wrote to friends asking them to destroy any letters that they had received from him. We know that Dickens had always kept secrets from his friends and relatives. When he was a child his father was arrested for debt and sent to the Marshalsea Prison in Southwark. Yet during his lifetime he only told two people about this event. The same is true of his experiences working in the Warren 's Blacking Factory. 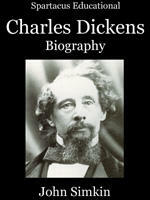 Dickens admitted he had fears about what biographers would say about him in the books written after his death. Why was Dickens so ashamed about these events and what influence did it have on his work? This biography attempts to answer these questions. It also includes a large collection of primary sources so that the reader can make up their own mind about this deeply flawed genius. 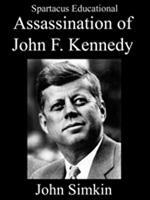 This comprehensive encyclopaedia of the assassination of President John F. Kennedy has over 700 entries. This includes biographies of 668 people involved in the case. The encyclopaedia also looks at the possibility that different organizations such as the Mafia, CIA, FBI, Secret Service, KGB and the John Birch Society might have been involved in the planning of the assassination. Other possibilities such as anti-Castro activists, Texas oil millionaires and the Warren Commission's lone-gunman theory are also looked at. The book contains 2,633,711 words (approximately 6,500 pages). Since his assassination in 1947, Gandhi has become one of the most loved and respected political leaders of all time. Louis Fischer, one of his biographers, claims that he is the greatest figure to emerge since Jesus Christ. The scientist, Albert Einstein, who was not known to exaggerate and had a considerable reputation for seeking the truth, commented after Gandhi's death: "Generations to come, it may be, will scarce believe that such a one as this ever in flesh and blood walked this earth." The main reason why Gandhi is so highly respected is that he was a man of peace. The 20th Century has been an extremely destructive period in world history and Gandhi was one of the few leaders of the dispossessed to have constantly advocated the use of non-violent action to solve political problems. However, some critics have claimed that he was a man who had failed to come to terms with the modern world. Others would argue that the world's only hope for survival is to adopt Gandhi's belief that only love can conquer violence. Whatever your final judgement may be, I hope you agree that his actions as well as his opinions are well worth considering. On 12th April, 1861, General Pierre T. Beauregard demanded that Major Robert Anderson surrender Fort Sumter in Charleston harbour. Anderson replied that he would be willing to leave the fort in two days when his supplies were exhausted. Beauregard rejected this offer and ordered his Confederate troops to open fire. After 34 hours of bombardment the fort was severely damaged and Anderson was forced to surrender. This event was the start of a civil war that was to last for four years. 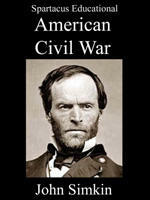 This comprehensive encyclopaedia of the American Civil War has over 290 entries, including sections on Battles (18), Political Figures (62), Military Leaders (78), Organizations, Events and Issues (22), Soldiers (42), Women and the War (18), Writers, Artists and Photographers (20), and Assassination of Abraham Lincoln (34). Available information suggests that there were about 500,000 deaths from all causes during the Spanish Civil War. An estimated 200,000 died from combat-related causes. Of these, 110,000 fought for the Republicans and 90,000 for the Nationalists. This implies that 10 per cent of all soldiers who fought in the war were killed. It has been calculated that the Nationalist Army executed 75,000 people in the war whereas the Republican Army accounted for 55,000. Around 10,000 Spanish people were also killed in bombing raids. The vast majority of these were victims of the German Condor Legion. It is estimated that about 5,300 foreign soldiers died while fighting for the Nationalists (4,000 Italians, 300 Germans, 1,000 others). The International Brigades also suffered heavy losses during the war. Approximately 4,900 soldiers died fighting for the Republicans (2,000 Germans, 1,000 French, 900 Americans, 500 British and 500 others). The economic blockade of Republican controlled areas caused malnutrition in the civilian population. It is believed that this caused the deaths of around 25,000 people. All told, about 3.3 per cent of the Spanish population died during the war with another 7.5 per cent being injured. This book attempts to capture the tragic nature of these events.